When you think about sustainability in America, several companies and places might come to mind. Las Vegas is probably not at the top of your list, but it should be. If light polluting neon signs, yard glasses of tongue staining drinks, bikini clad women and slot machines come to mind when you think of Las Vegas you’re not alone. Las Vegas has a dirty reputation with bringing out the irresponsible part of human nature along with our societies needs to be excessive consumerists with the need to over consume. Let’s put these thoughts away though, because the Las Vegas of today; is actually an epicenter of sustainability in America. It may come as a surprise but many of the hotels and resorts in Las Vegas are green certified. There are 26 hotels today in Las Vegas that have implemented sustainable practices into their business operations and have become certified by the world’s most reputable certification companies. Most recently, the city government of Las Vegas has made the switch to renewable energy, following in the footsteps of some of the city’s largest hotels. 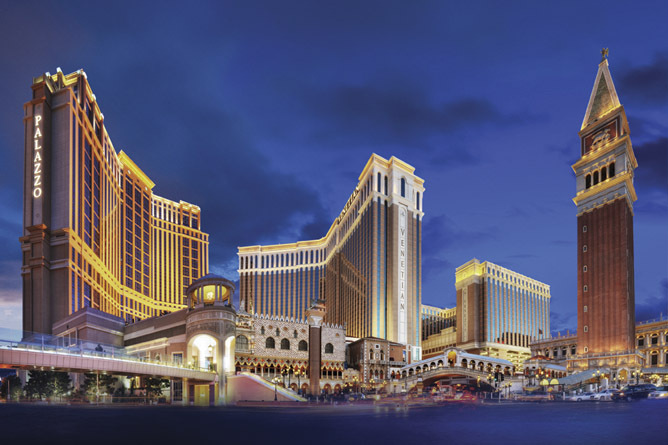 The real sustainability pioneer in Las Vegas is Las Vegas Sands. This complex makes up the hotels of The Venetian and The Palazzo as well as the Sands Expo & Convention Center. It is the largest and tallest LEED certified building in all of Nevada and is the highest rated sustainable hotel of its size in the world. They even found themselves in the top 100 on the Newsweek rankings for Top Green companies worldwide. 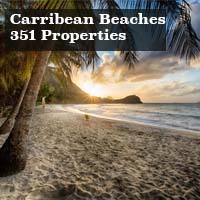 The Sands Corporation owns 10 properties around the globe. All of them incorporate sustainability into their operations and five of these are some of the most sustainable hotels in the world. 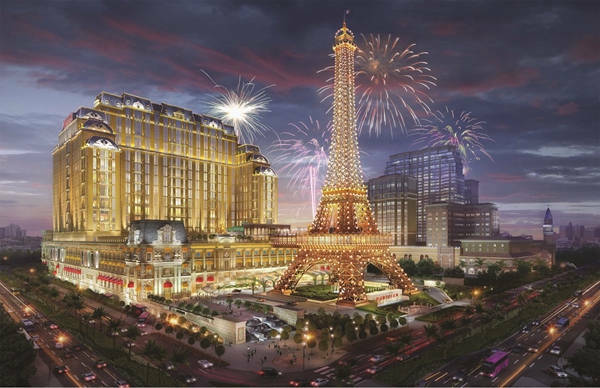 This list includes The Venetian, The Palazzo, The Sands Expo & Convention Center, the newly opened Parisian Macau and the amazing Marina Bay Sands Resort in Singapore. The Sands Corporation is committed to sustainability, believing in the trickle-down effect, they have worked very hard to incorporate sustainability into every facet of their business operations. Their hotels in Las Vegas were their first LEED certified buildings in the world. LEED or Leadership in Energy and Environmental Design is a program created by the United States Green Building Council (USGBC) to measure best in class building strategies and practices. The Las Vegas Sands Complex is more like a small city than a hotel with over 10,000 workers. Getting that many people committed to a cause is no easy feat, but this accomplishment is exactly what the Palazzo and Venetian have done. If you happened to be walking through The Venetian, The Palazzo or Sands Expo & Convention Center you would see the amazingly decorated and well maintained grounds, bustling casinos, tantalizing shops and fantastic restaurants; sustainability would probably be far from your mind. Take a closer look and you will see the extra details they have added which has made them one of the most sustainable hotels in the world. They have a program called Sands ECO360 Global Sustainability Initiative. This program is a full circle sustainability program that includes all stakeholders including guests, upper management and employees and all the aspects of their business operations. In the lobby you might walk right past their LEED sign. 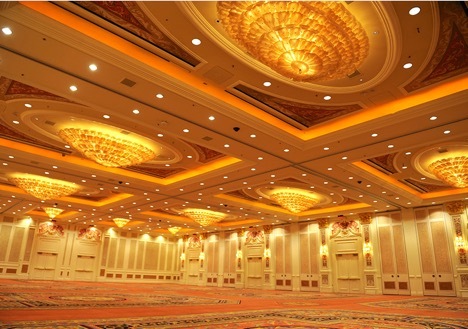 The Venetian and The Sands Expo & Convention Center are LEED Gold, while The Palazzo is LEED Silver. These certifications from the USGBC have to do with the way their structures were built and designed. LEED, or Leadership in Energy and Environmental Design, is a certification program for buildings and communities that guides their design, construction, operations and maintenance toward sustainability. It’s based on prerequisites and credits that a project meets to achieve a certification level: Certified, Silver, Gold and Platinum being the highest. LEED-certified buildings are resource efficient. The whole life cycle of the building is taken into account from the materials used, to the amount of waste that is created. They use less water and energy while also reducing greenhouse gas emissions. As an added bonus, they save money. Inside The Palazzo lobby let your eyes wander up and you might notice the use of huge sky lights. 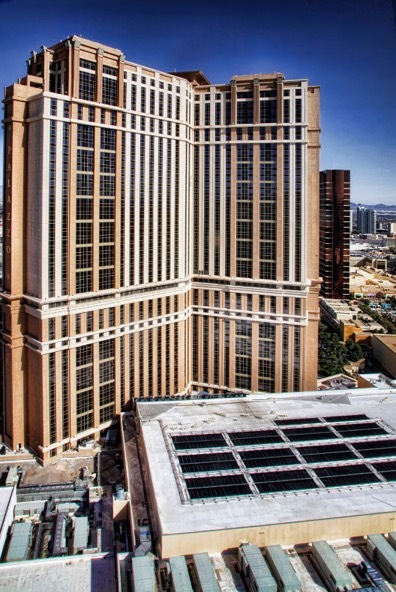 Natural lighting allows The Palazzo to save energy and money by using less lights. Sustainable builders utilize nature in many aspects of the design process to save electricity, lower heating and cooling needs and maximize our comfort. Running a casino takes a lot of electricity and man power. The Venetian and The Palazzo have the most extensive selection of slots and video poker machines in the city. In an effort to save electricity they have retrofitted a large percentage of the machines with LED lights. LED lights last almost 50 times longer than incandescent lightbulbs and use a fraction of the electricity. During The Venetian Hotel renovation in 2014, all lightbulbs in over 3,000 suites were switched to 100% LED’s and the company is doing the same in The Palazzo Hotel during the renovation which is currently under progress. The majority of the bulbs inside the buildings are already switched to LED’s as well. 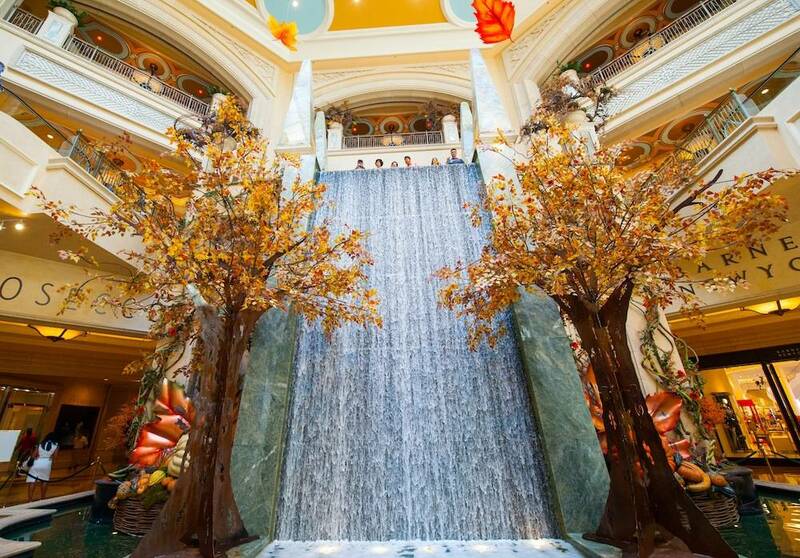 The waterfall atrium in the Palazzo features a stunning and eye catching rotating display. Which seems to bring peace and harmony to this bustling entranceway. This waterfall also has a hidden feature. Its warm water adds humidity to the dry Las Vegas air. This not only helps with guest comfort but it reduces the air conditioning needs within the building as well. Saving energy, saving money and appealing to humanities love for rushing water. 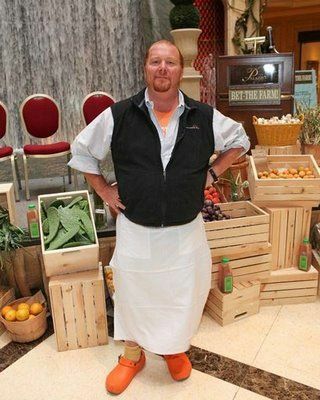 If you walk through the Grand Canal Shops and past the many restaurants you might also be surprised to find out that Mario Batali’s three restaurants are all green certified as well. 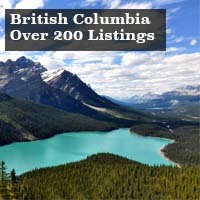 They source their foods from local and organic farms. Optimize performance in waste reduction, recycling, water conservation, disposables and aim to reduce chemicals and pollution in their business operations. 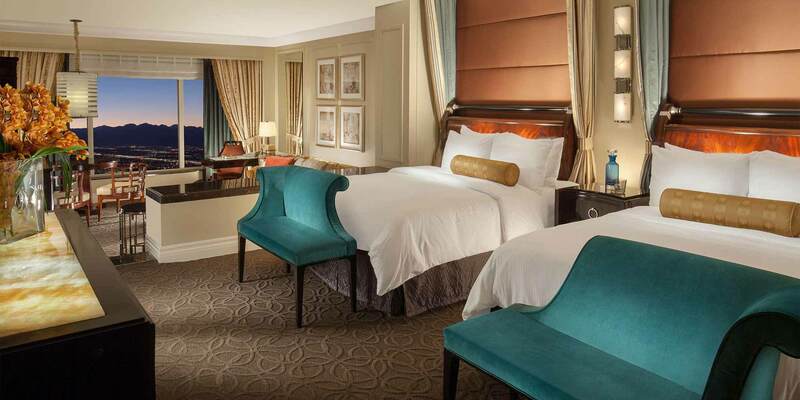 Guest rooms are where you will see many of the amazing sustainability initiatives at The Venetian and The Palazzo. More than 3,000 suites in The Palazzo are implemented with a master light switch that allows guests to turn on/off all lights at once to save power in the guestrooms. The state of the art chiller and boiler plant that provides heating and cooling for the entire campus also helps reduce air conditioning load in the rooms significantly. In room Dining features sustainable and fair trade options. Channel 7 on all TV’s dedicated to sustainability initiatives. From many of the rooms you can look down onto roof of The Venetian Congress Center where you will see a large solar array. The Venetian Congress Center houses one of the largest rooftop solar-thermal systems in the United States. A collection area of 18,200 square feet with 364 panels provides hot water for 11 swimming pools and spas, utilizing the power of the sun for the comfort of its guests. The property also features 680 solar photovoltaic (PV) panels with a peak output of 116 kW (DC). The on-site cooling tower even saves more than 46 Million gallons of water a year. 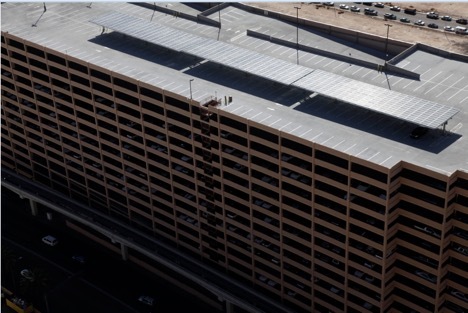 Their parking garage is completely self-sufficient, running off solar power. It features 27 Electric Vehicle charging stations and 21 additional 120V outlets for charging vehicles. They even alert you via text when your car is done charging. Within the parking garage there is also an on-site nano water filtration system. The Palazzo sits above an aquifer, giving them ability to use their own water instead of the cities. With their water filtration system they are able to filter, recycle and reuse water for irrigation, and non-guest needs. In total they save more than 12 Million gallons of water each year and are able to stay completely off the water grid for horticultural needs at The Palazzo. The back of the house is where you really see this program come full circle. Sustainability initiatives are posted all over the employee hallways. They have contests for ride sharing and going green. This program allows all employees to take part in winning prizes for reducing their carbon footprints. The staff cafeteria features reusable wares so waste is reduced. They have bins for composting, recycling and landfill items. Their recycling efforts even got them named as the Most eco –friendly company in Las Vegas by the Las Vegas Review Journal. The recycling dock is quite remarkable, resembling a full scale recycling center. Everything is sorted and separated. Compost and food waste is sent to a local pig farm, cardboard, glass, plastic and paper are all sorted and recycled. They are proud to say they recycle more waste than is thrown away, a feat that not many companies have the privilege to say. The recycling center is a dirty job and in an effort to reward the men and women that work in this department they have a profit sharing system in which they share 50% of the recycling proceeds with the workers. Not only are they helping the earth but they take amazing care of the workers that are helping them do so. Las Vegas Sands also partners with many local and regional charities. – The Palazzo Sustainability Department. They are the world’s largest donator to Clean the World, a non-profit that donates soaps and toiletries to homeless shelters and impoverished people that would otherwise be sick or dying from hygiene related illnesses. All the bed linens and towels are donated to Opportunity Village. Opportunity Village is a local charity that employs special needs and homeless individuals. They make rags and blankets out of the linens. They sell the rags they make back to the hotels and give blankets to the homeless. This 360 approach is helping the community, local economy and the environment. Las Vegas Sands also donates and work with the local Veterans Society and Catholic Charities. The senior management at Las Vegas Sands has done an extremely great job at inspiring, motivating and being green role models for their staff. They even participating in meat free Mondays in an effort to encourage their 10,000 staff to help save the planet by eating less meat. Sands Corporation globally has more than 50,000 employees. Along with employing a massive workforce they have made huge strides in protecting the environment, saving resources and inspiring others. They have been a pioneer of sustainability in the mega resort business. Their willingness to find innovation and implement companywide green policies has made them a pillar for other companies to look up to. 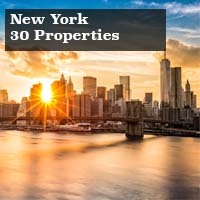 Their adoption of the ECO360 Program has shown many other businesses that they can also implement green policies that work and that save money. Ultimately changing people’s minds for the better. If you are heading to Las Vegas in the near future a stay at The Venetian or The Palazzo is a great choice. With great restaurants, nightlife, shopping and gambling their commitment to the local community and environment are icing on the cake.